Marked by the "Anti-Saloon League" sign on the corner, this new speakeasy offers an encyclopedic cocktail menu with fantastic concoctions like the Elderberry No. 10 with Tanqueray, elderberry, lemon and lime. The dimly lit space, though only a few months old, felt straight out of the 20s, save the modern, funky light fixtures hanging overhead. Make a reservation online. Thanks to Tom Sietsema's Postcard for this bar rec, just around the corner from Bourbon and Branch. I went for a Honey Delight, which sounds sweet, but with fresh honey dew melon, mint, tangerine, orange bitters and gin, it was a perfectly balanced cocktail. Elegant and warm, this tiny restaurant is overseen by chef Michael Tusk, formerly of Chez Panisse. We enjoyed Monterey Bay sardines, a spicy spaghettini with romanesco broccoli and anchovy, and tender rabbit wrapped around delicata squash and chanterelle mushrooms. Former mayor Willie Brown seemed to be enjoying himself at a corner table, as well. This casual spot had great wines and tapas, including plump sea scallops over okra with coconut foam and baby back ribs with a honey-sherry glaze. 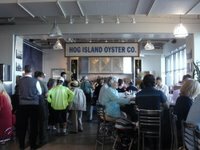 It was as great as all the foodies out there claim it is. 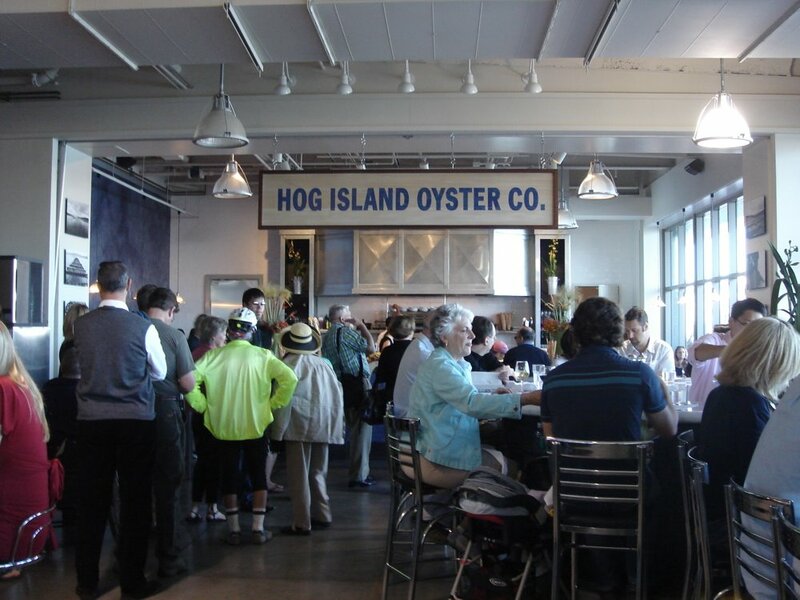 We downed three dozen oysters at the Hog Island Oyster Co. (at right) on day one, and returned for cheese from Cowgirl Creamery and breads from Acme for a light lunch a few days later. 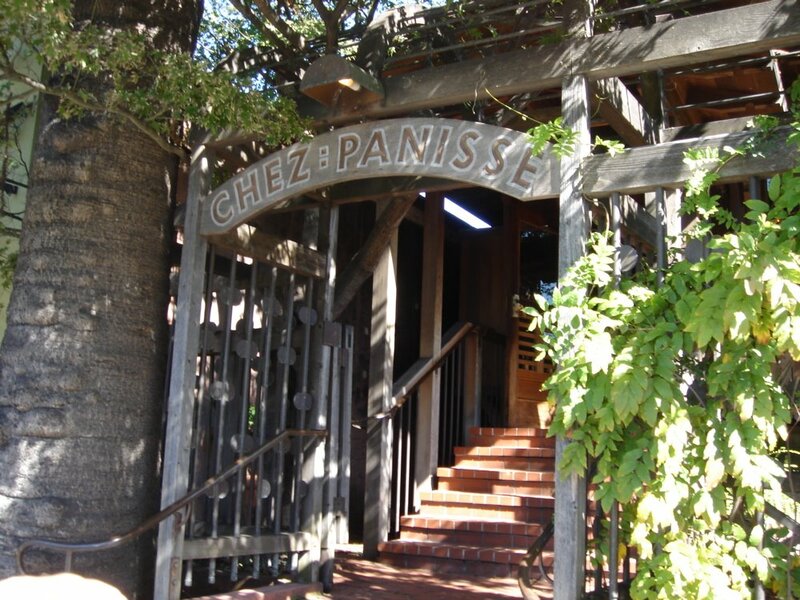 Finally, on the way out of town, we stopped at the legendary Chez Panisse in Berkeley for lunch in the café. The food was beautifully simple. Roasted tomato and leek soup and a dish of grilled quail and chicken with fat little shell beans and fried herbs made me wish lunch could taste that good every day, but the surprise show-stealer happened to be dessert  a buckwheat crepe with oven-roasted Black Mission figs and Marsala cream. 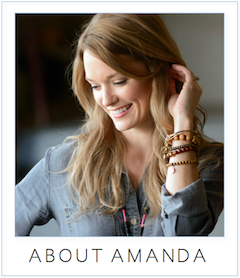 very fortunate -- am heading out to SF this week for work. thanks for the tips! YAY! Im glad you tried both Bocadillos and Nectar. Nectar is definitely a hoot! Love the over-the-top wine note descriptions. Its so fun! And the food was pretty tasty too. Zuzu's was a great recommendation coming off a big meal the night before (we did Cyrus, not FL) and a long day of tasting. Thanks!